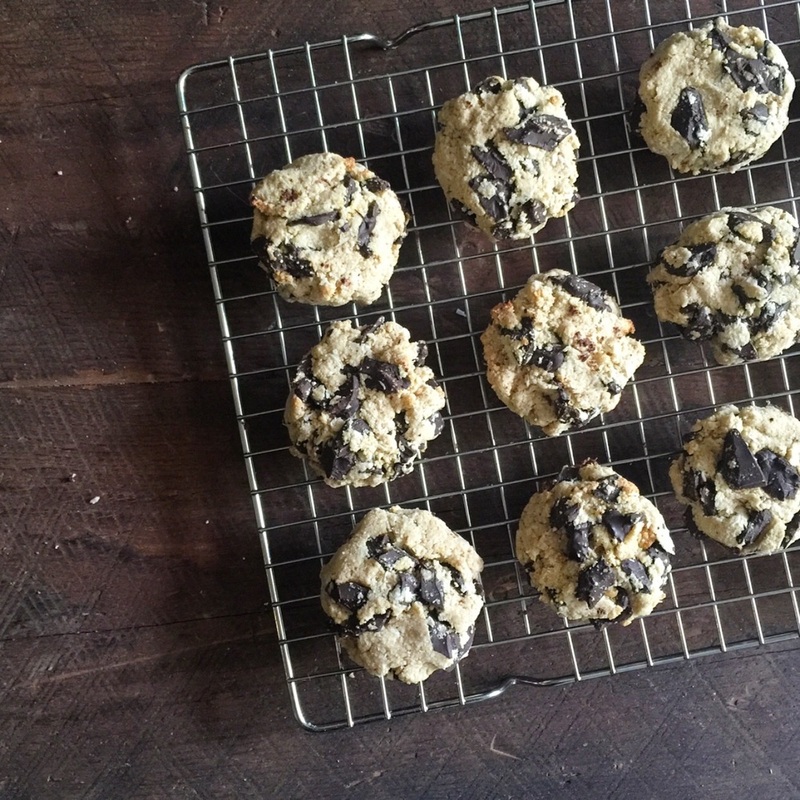 Almond Flour Chocolate Chunk Cookies — urban. apron. Time for a one-bowl sweet treat. Full disclosure: When Almond Pro reached out to me with some almond flour to bake with, I took it with open arms. 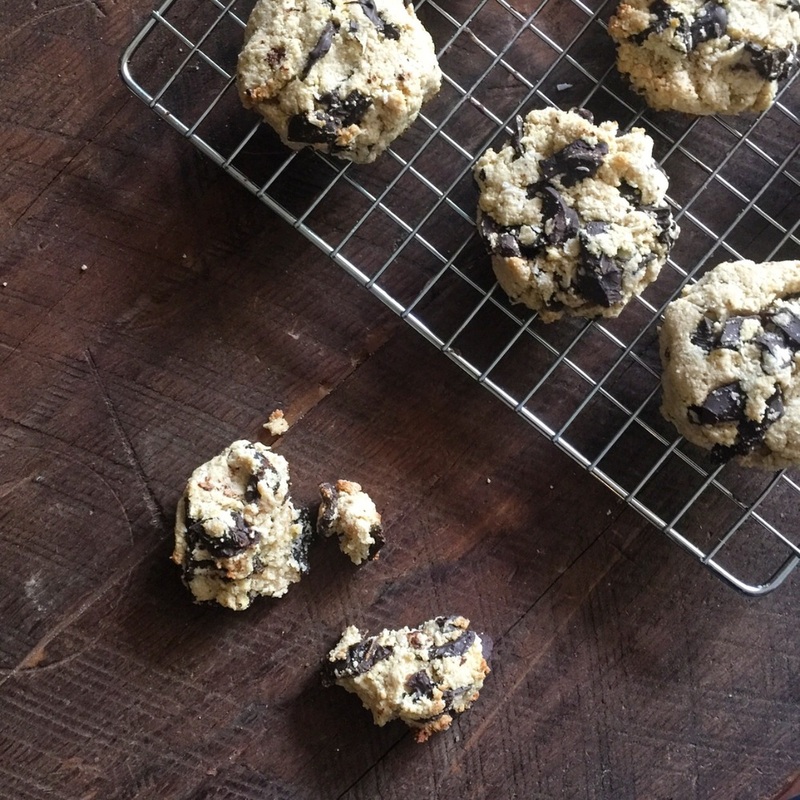 One - because I love almond flour and two - because it gave me an excuse to whip up a batch of these almond flour chocolate chunk cookies. This organic almond flour uses a method of extracting the fat from the almonds, while increasing the protein content. It's made entirely with almonds, but has 14 grams of protein and 5 grams of fat compared to traditional almond flour which has 5-6 grams of protein and 14 grams of fat. However this happens is over my head - but I'm all about it! It has a light and fine texture, finer than my usual go-to almond flour, making it perfect to bake with. In a bowl, whisk the egg until it doubles in size. Then, add the brown sugar and whisk until smooth. Add the vanilla and coconut oil, whisking to combine. Add the almond flour, shredded coconut, baking powder and salt to the bowl and stir with a wooden spoon until combined. Add the chocolate chunks. Let the dough chill in the refrigerator for about 30 minutes. Preheat the oven to 350 degrees. Line a baking sheet with parchment paper, then scoop tablespoon sized dough balls on the sheet. Press down each dough ball - these will not spread while baking. Bake for 9-10 minutes. Take out and let cool on the cookie sheet. Then store in an airtight container.